We’re in the first few days of falls and that’s alright! 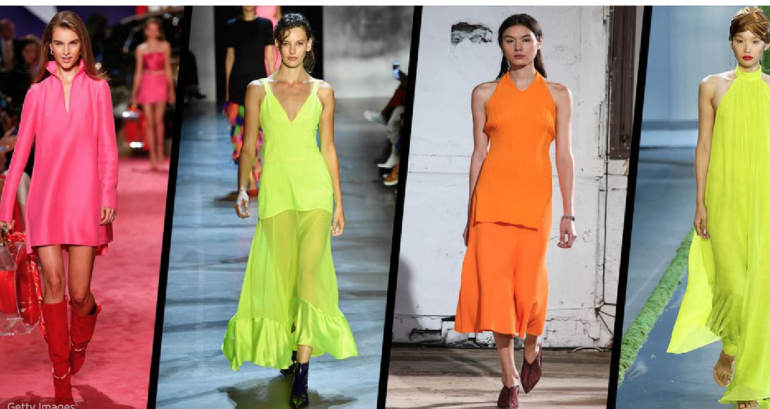 These upcoming trends to look for next summer are sure to have you feeling summery once again. Prepare to see all these trends when shopping for your closet! Colors: When shopping for your summer fashion next summer make sure to look for vibrant reds, zesty yellows, pretty pinks, and moss greens when your shopping. Pantone recently revealed that these will, in fact, be the colors to look for next summer. Tie-Dye: Tie-dye is no longer your typical 70s era fashion. Who would have thought that tie-dye would be a thing next summer? I am actually looking forward to seeing how well all of my fashion trendsetters will make this style their own. When shopping the tie-dye style look for Blazers, pants, and off the shoulder tops to spice up your look. Matchy -Matchy: When getting dressed you should always color coordinate. Tory Burch among other designers is taking on this new trend next summer by making your outfit match from head to toe! keep an eye out to see your dresses, pants, shoes, and purses all to have the same pattern. Neons: Punchy pinks to highlighter yellows and vivid greens. Summer 2019 is looking super colorful. If you already are on trend with the neon nails get ready to match from nails to neon! Printed Headgear: Mix up your style next summer with a statement style with the 70s inspired headscarves, bucket hats, and resort-ready headgear. So what are your thoughts on the upcoming styles and colors for Summer 2019? Are you excited about any of the styles? What styles will you make your own?